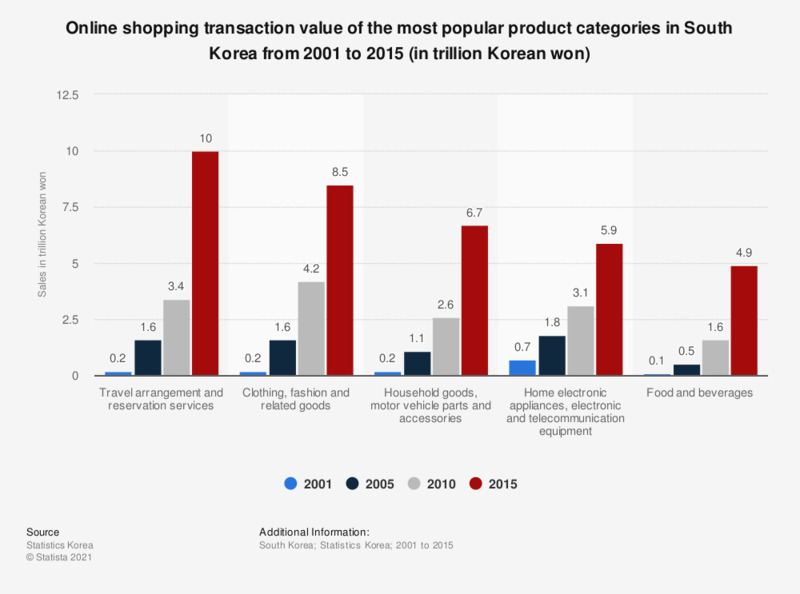 This statistic presents the online shopping transaction value of leading product categories in South Korea from 2001 to 2015. In the most recent year, online shoppers in Korea spent 10 trillion Korean won on online travel purchases. Have you ever purchased something online? If yes, what?